Car Tender is not your ordinary repair shop. Vintage classic or everyday driver, expensive or not so, you can trust your beloved "Wheels" to Car Tender. These folks not only have the technical expertise; they're also truly customer service oriented. That's why I've been taking my cars there for nearly 15 years. The technicians at Car Tender have been factory trained to repair these fine driving machines. 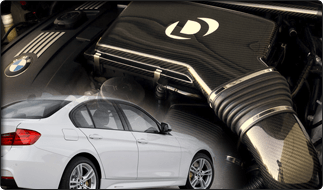 DINAN has been providing the enthusiast with high performace BMW products for over 30 years. Allow our skillful technicians to handle your vehicle's maintenance or repair needs. We're happy to serve you.